I'm doing things a little different this year. My goal is to have 2 posts each day, one at noon and one at midnight. Occasionally there will be three posts, but I'm trying hard not to be overwhelming, so I'm going to try my damnedest to stick to 2 per day. 2 posts per day means less fluff, but it also means less room for guest posts, so there are few of those this time around. 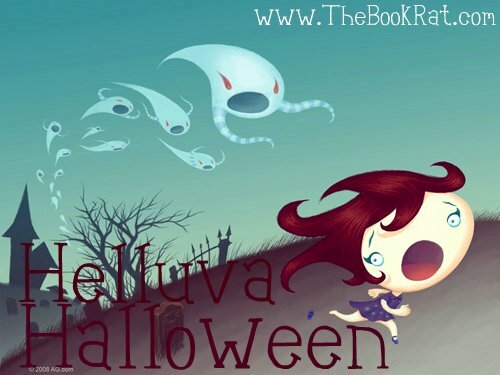 There is a linky page again this year for those of you who want to get involved in Helluva Halloween. Feel free to link up posts that you did on your own blog or channel. There are giveaways this year (of course), but I'm going to try to keep them more streamlined. To that end, there are fewer of them and I have one master form for you to fill out that has your information. Then, to enter any particular giveaway, you just leave a comment on the post and don't have to fill out a form over and over for every giveaway you enter. The Master form can be found here!! Anywho, on to the show: Below you'll find this year's button and the schedule of events. This will be updated often with new posts and links (though fair warning, I've been having trouble with both my internets and my computer, so..."often" is relative). That's all for my spiel; hope you enjoy! The button is too cute!!! So basically I just stick the button On my blog? I'm on my phone... So I have to fill out the form later! No matter what, I always seem to screw up forms while filling them out on my phone!! Ugh! YEAAAH. I'm excited. 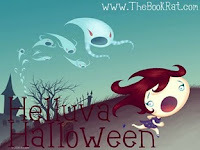 I may actually participate this month since I just read a book that will be quite appropriate for Halloween. Woot. I love the button as well. Too bad I quit my teaching job-- I could've had the kids write something. I had the students write best/worst superhero ability stories, and I'm pretty sure I still have them somewhere. Ah, well. New job starts Monday, so hopefully the new kids will be interested in participating in events later on. I'm participating! I love your blog and I just discovered it, so it's cool to be joining in! oh and I LOVE the button, it's so cute! Love the button! Added it to my giveaways page! adorable button! just found you from Vv site!